Photographer Annie Leibovitz and scientist Peter Higgs were among this year’s recipients of the annual Prince of Asturias awards, held in Oviedo, capital of the Principality of Asturias in Spain. 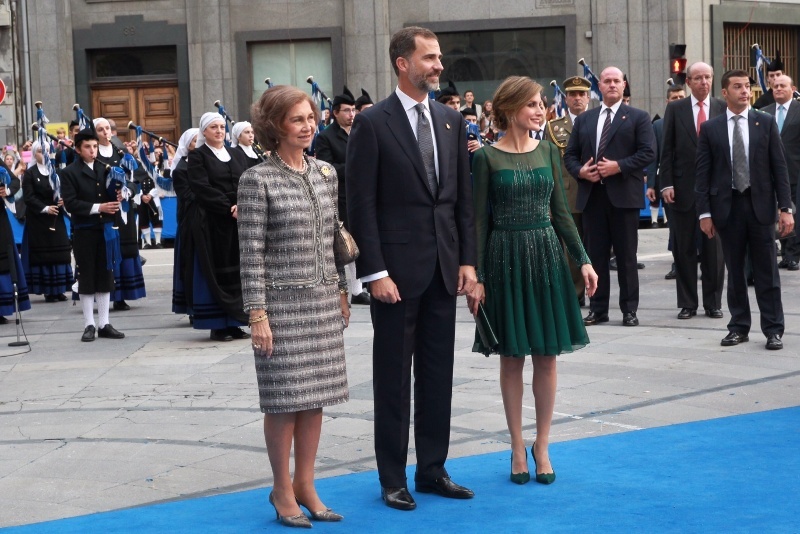 Queen Sofia, Prince Felipe and Princess Letizia arriving at the awards venue in Asturias. 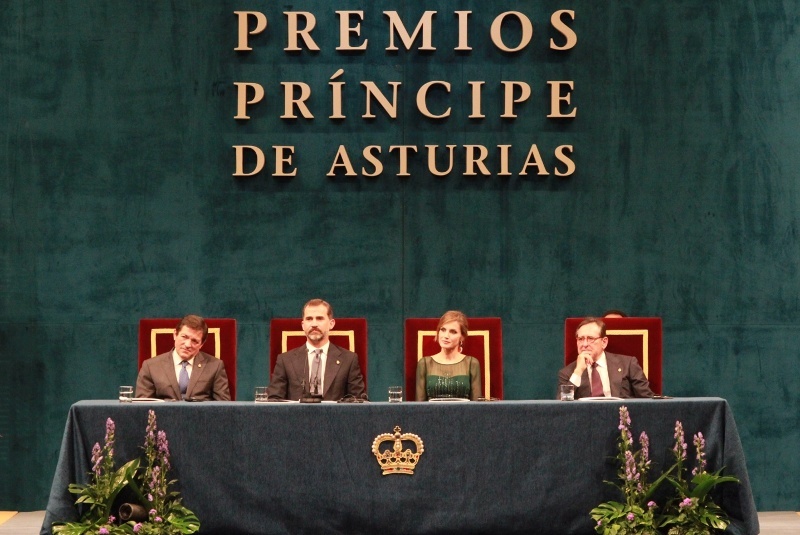 The awards are among the most important events that the Spanish Royal Family puts on every year. The ceremony is broadcast live on television and brings out thousands of spectators. 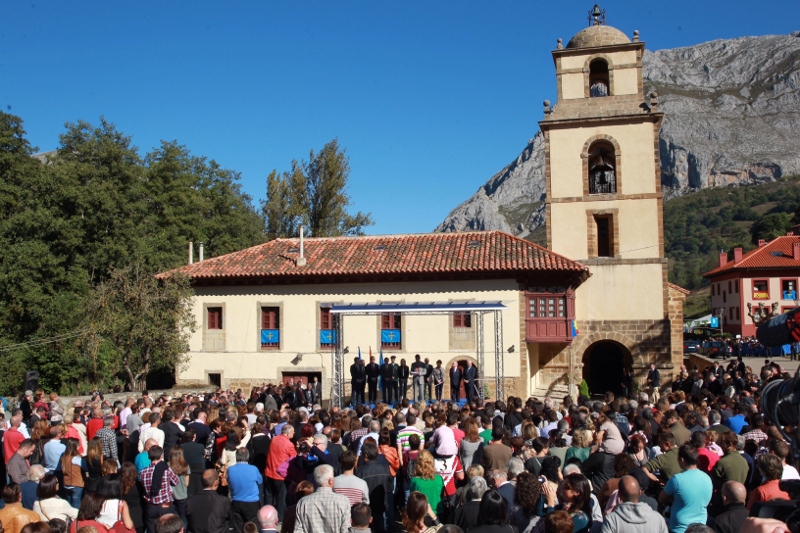 Beyond the formal events at Campoamor Theater and the Hotel of the Reconquest, the Prince and Princess of Asturias also award a town in the principality. This year they recognized the community of Teverga for working to overcome the downturn in mining related employment. The Prince and Princess in Teverga. 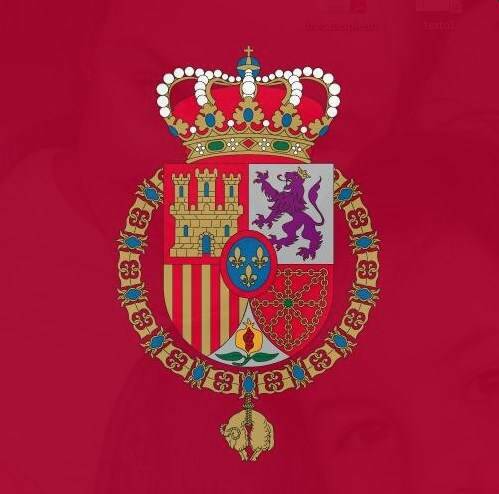 Prince Felipe has been taking on an increasingly visible role in recent years after King Juan Carlos’ multiple operations. Posted on October 27, 2013 by talkingwithamericansPosted in UncategorizedTagged Annie Leibovitz, Asturias, Peter Higgs, Prince Felipe, Princess Letizia, Queen Sofia.